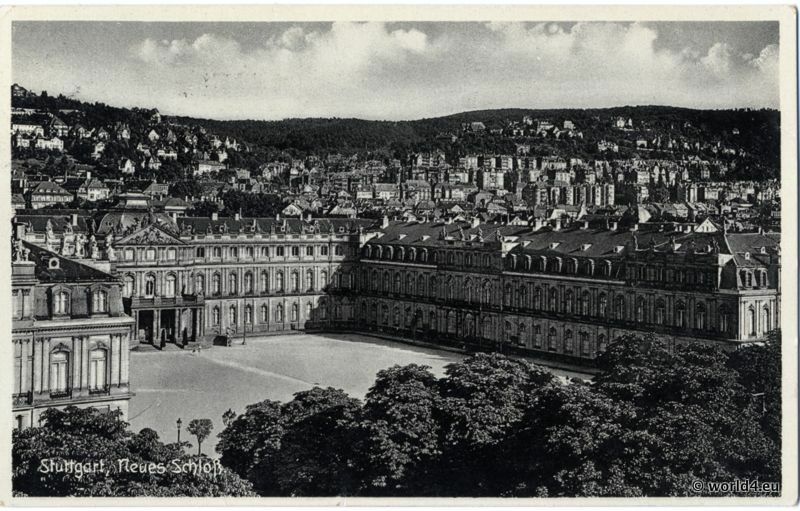 Home » 30s » The New Palace Stuttgart Germany. Picture Postcards 1936. 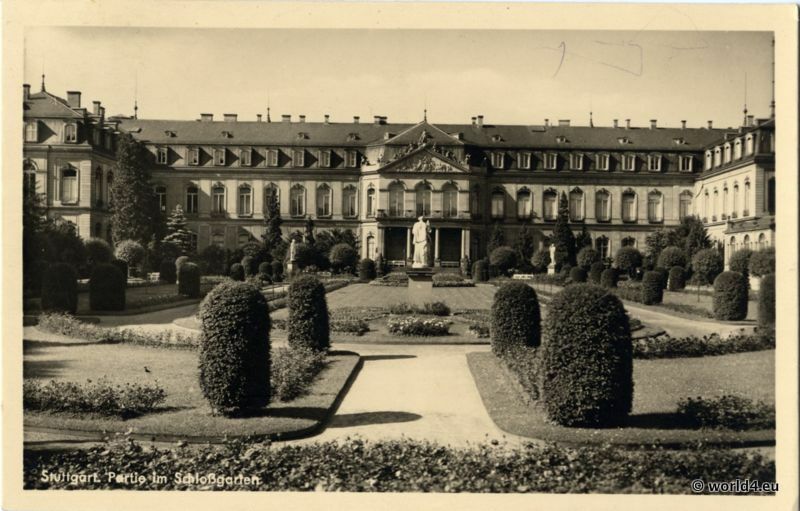 The New Palace in Stuttgart was built in 1746-1807 by order of the Dukes of Württemberg and kings as a residence and residential castle. It is located in close proximity to the Old Palace and forms together with the Palace Square the center of the city of Stuttgart. 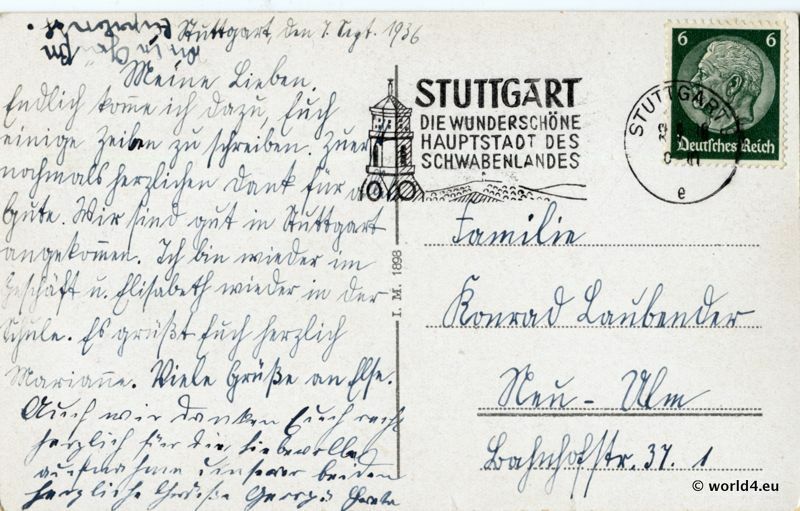 Back of Postcard with stamps German Empire, Calligraphy, Postmark and Handwriting.